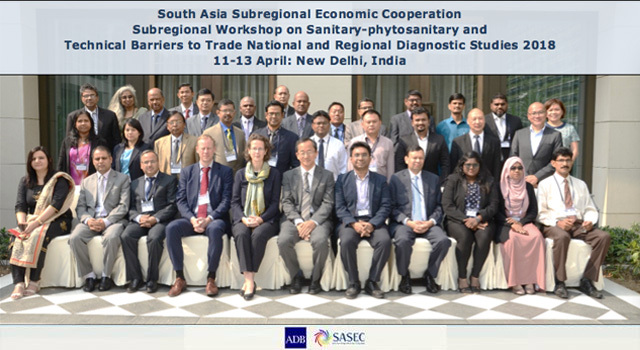 The Asian Development Bank (ADB), in collaboration with the Department of Commerce, India, conducted the South Asia Subregional Economic Cooperation (SASEC) Subregional Workshop on Sanitary-phytosanitary (SPS) and Technical Barriers to Trade (TBT) National and Regional Diagnostic Studies on 11-13 April 2018 in New Delhi, India. 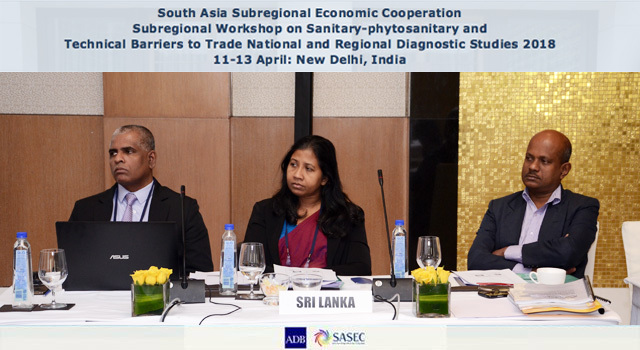 During 2017, national diagnostic studies on sanitary-phytosanitary (SPS) and technical barriers to trade (TBT) measures were prepared for Bangladesh, Bhutan, India, Maldives, Nepal, and Sri Lanka under the SASEC trade facilitation platform. 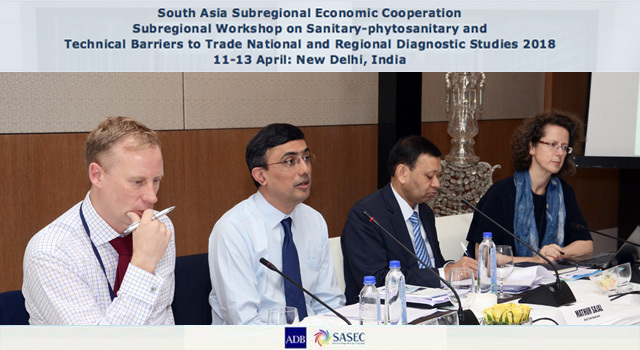 The studies identify potential commodities that could be traded more in South Asia, yet which remain subject to trade-restrictive non-tariff measures. 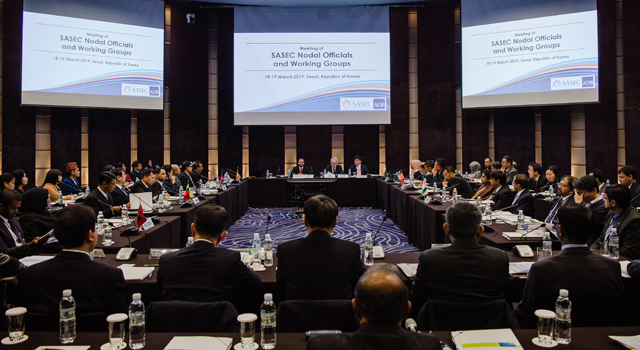 They examine SPS-TBT related non-tariff measures in detail, including procedural obstacles, and propose recommendations to address them at the national level. 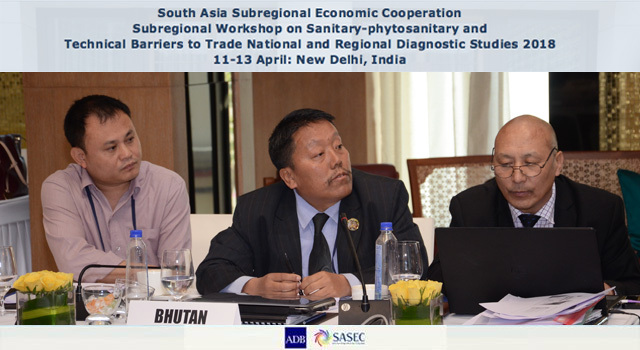 Drawing on the findings of the national studies, a regional diagnostic study is under preparation to identify the common challenges in SPS-TBT related non-tariff measures amongst the SASEC countries, and provide recommendations and responses to address these challenges more effectively at the regional level. 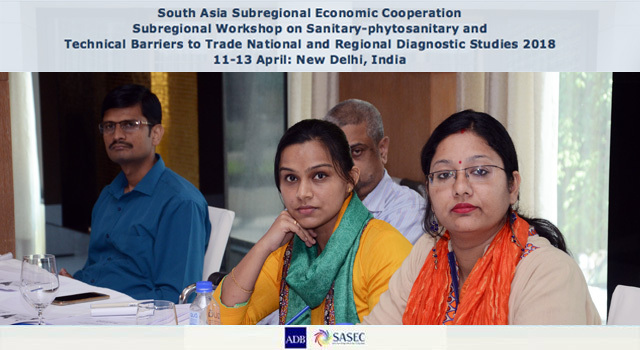 Sharing the findings of national diagnostic studies. 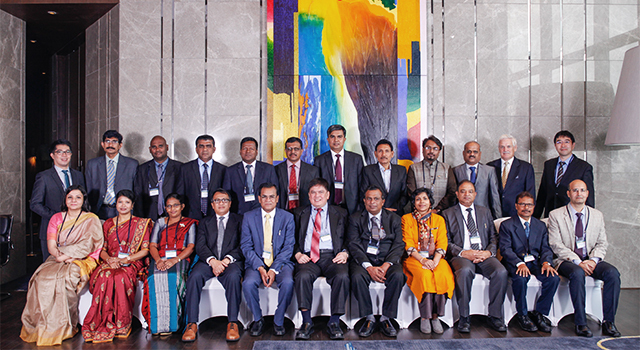 ADB national consultants responsible for preparation of the national studies shared the findings and recommendations. 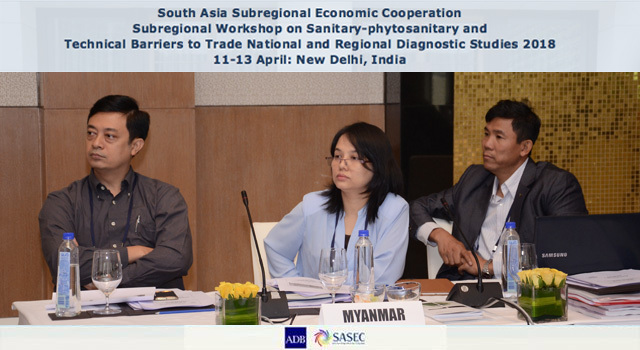 They identified prioritized products for potential export to other SASEC countries; examined the trade-restrictive SPS-TBT related non-tariff measures applicable to these products; noted gaps in SPS-TBT legislative and regulatory structures, institutional frameworks, infrastructure, and capacity; and proposed recommendations to address these challenges. 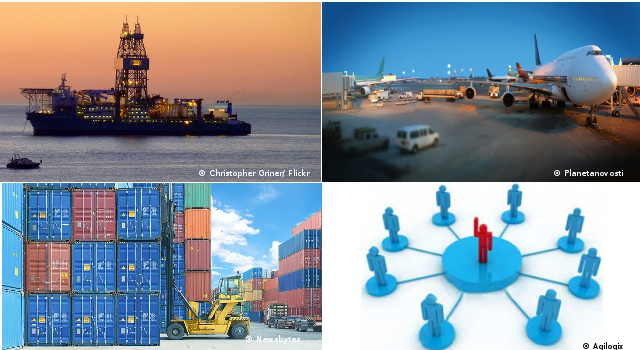 Similar issues in conducting effective intraregional trade were noted in all areas of the studies, with a degree of national variance. 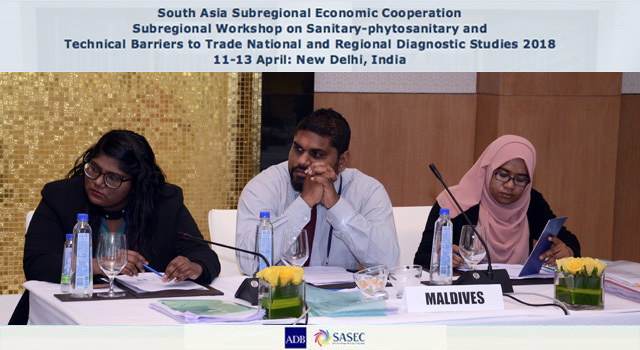 Soliciting participating countries’ views and comments on a draft regional SPS-TBT diagnostic study. 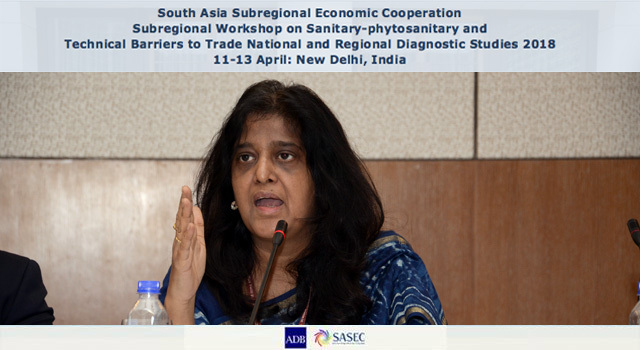 The ADB international consultant presented the rationale, structure, approach, and outline of the ongoing regional SPS-TBT diagnostic study that draws on the findings of the national studies. 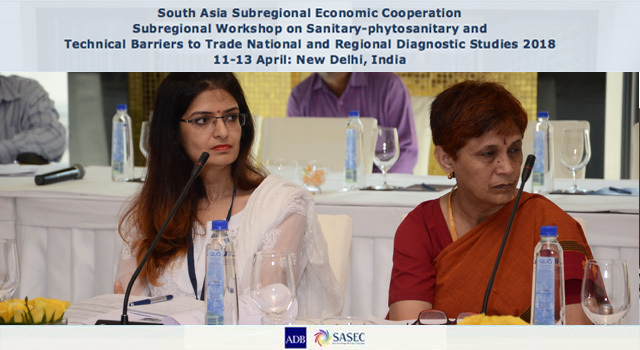 Time-phased recommendations in this report aim to address trade-restrictive measures at a coordinated regional level, where the impact would be felt across multiple SASEC member countries. 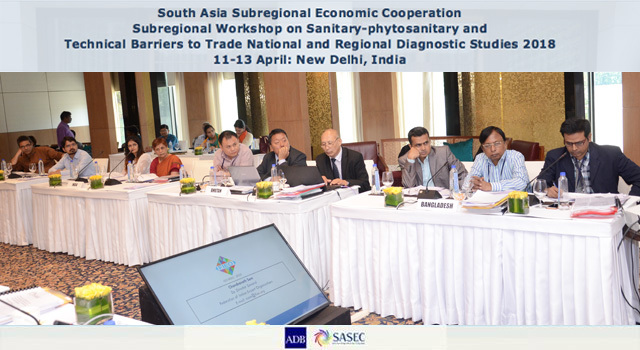 Reviewing opportunities to include SPS-TBT trade facilitation projects in the SASEC Operational Plan 2016-2025, and proposed ADB technical assistance in this field. Delivering a learning event with international expertise sharing their knowledge and experience in implementing SPS and TBT initiatives at ground level. 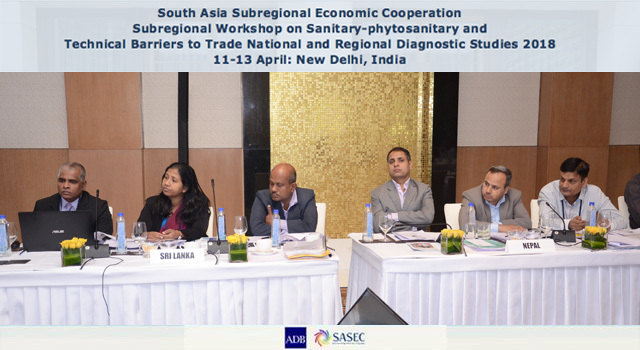 Experts from the Standards and Trade Development Facility; the World Trade Organization Trade and Environment Division; the International Trade Center; the South Asia Regional Standards Organization; the Food Safety and Standards Authority of India; and the Federation of Indian Export Organisations provided advise and support to the SASEC countries in making the next steps in addressing SPS-TBT non-tariff measures in South Asia. 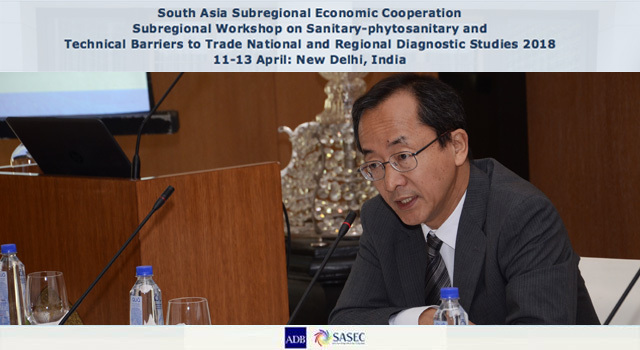 Mr. Kenichi Yokoyama, Country Director for India Resident Mission, ADB delivered opening remarks at the Workshop, recalling that South Asia is the fastest growing region in the world and the reduction of trade-restrictive practices and harmonization of standards could being significant benefit. 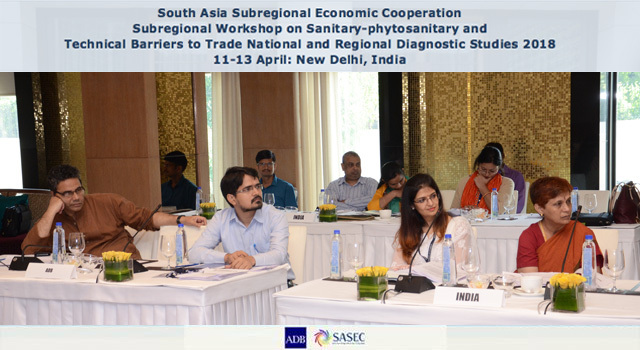 He further noted the valuable findings of the national diagnostic studies and potential, among others, to inform agri-value chain development in the region. 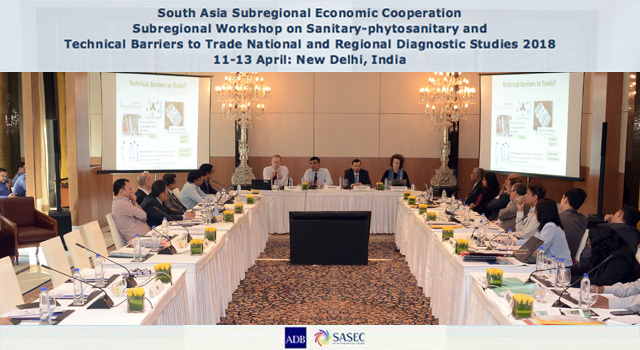 Senior officials of all seven SASEC countries participated in the Workshop, together with ADB staff, consultants, and resource persons. 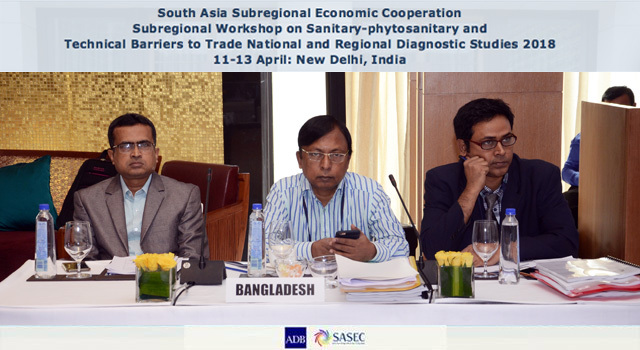 ADB chaired the Workshop. 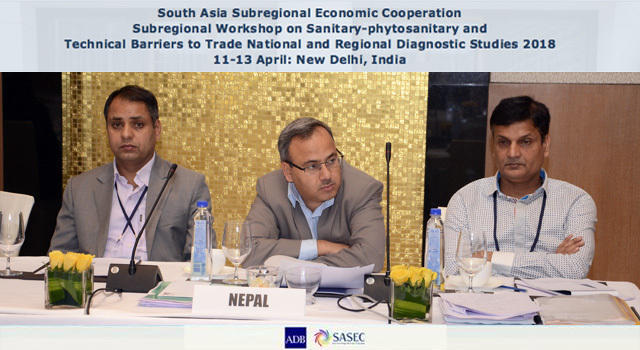 The Workshop was supported by ADB Technical Assistance Special Funds.